Segafredo Extra Strong is the perfect blend of Brazilian Arabica and Robusta beans. It is known for its intense toasted-wheat, slightly chocolate and hearty flavor. Extra Strong is Segafredo’s most popular blend. 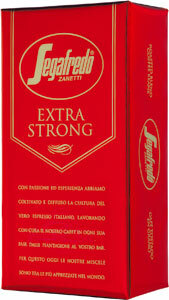 This Segafredo extra strong espresso is roasted in Italy. 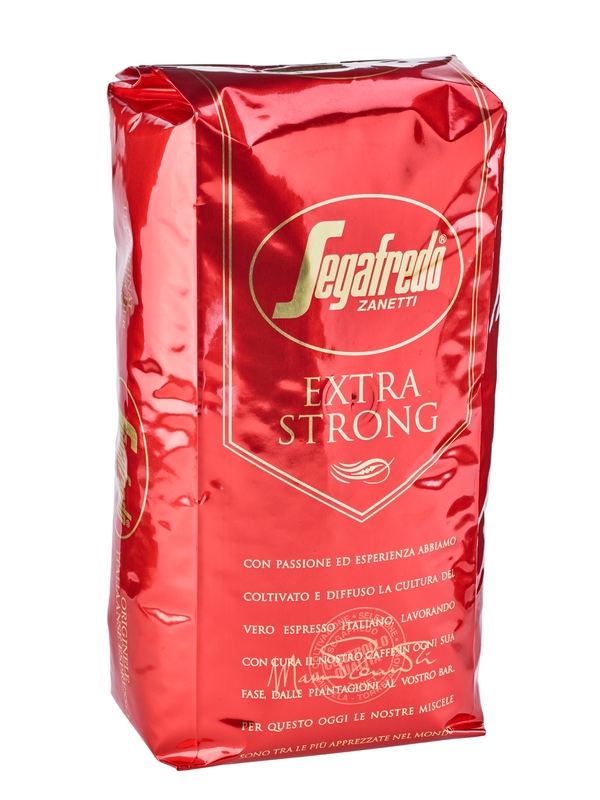 Segafredo Extra Strong is the perfect blend of Brazilian Arabica and Robusta beans. Very rich coffee my wife loves it. I have used this coffee for over 8 years,nothing compares to it. I have purchased this brand for several years. I recently enjoyed a cup of Segafredo extra strong espresso. The best cup of espresso I've ever tasted! The roast has a rich, malty taste with incredibly smooth crema. Highly recommended!